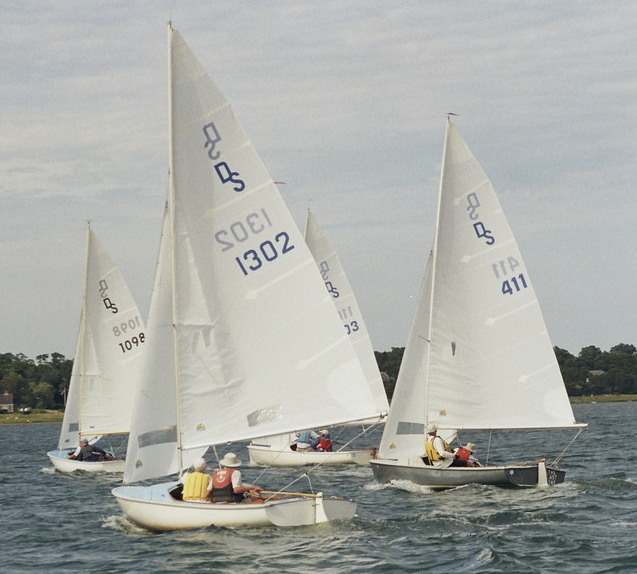 The OYC has always included active adult and junior sailing programs. During the early years of the Club, the adults sailed Town Class boats and the juniors sailed Beetle Cats, Widgeons, and Turnabouts. The current adult OYC racing class is the DaySailer, a 17 foot sailing dinghy originally built by O'Day. The Daysailer class as defined by the DaySailer Association. The original and longest production run was with O'Day DaySailer I 1957-1972 and O'Day DaySailer II 1971-1984. The O'Day Daysailer III made from 1985-1990 does not meet class rules and cannot be raced in this class. The Daysailer I design has been made by a half dozen other companies over time and is currently being made by Cape Cod Shipbuilding. 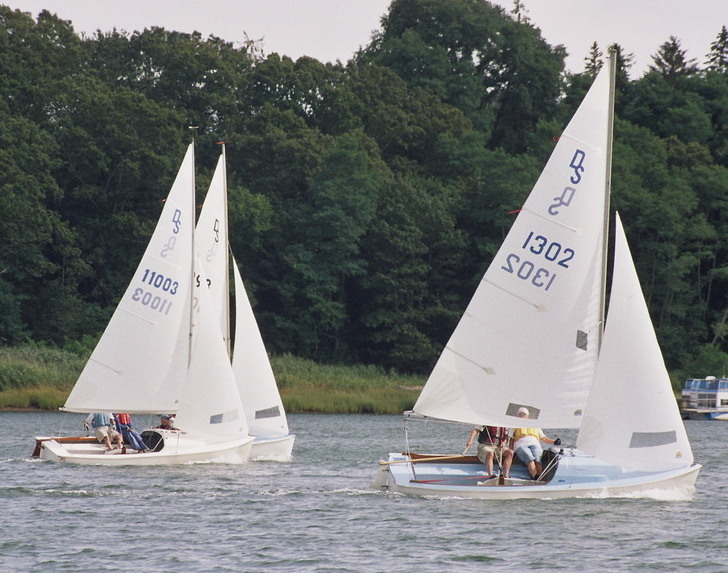 The OYC's racing group, designated as Day Sailer Fleet 15, is involved in intra-club racing and is a member fleet of the DaySailer Association. The races are a friendly competition, with emphasis on friendship, mentoring, and good sportsmanship. Sailors vary in experience from novice racers to more experienced racers. Fleet 15 has produced a few racers competitive at the national level. Sailors with little or no sailing experience are encouraged to participate and can expect encouragement and mentoring. The summer race schedule consists of Sunday afternoon races from June through early September. There are three race series in the summer. Each series consists of three race days with at least two races per day. In most years, a regatta is held in July where, in addition to Fleet 15 sailors, all members of the DaySailer Association are invited to participate. Fleet 15 skippers competing in at least 51% of the summer races are eligible to sail in the Club Championship race held at the end of the summer season. Many Fleet 15 sailors are full time Cape Cod residents and there seems to be sufficient interest in extending the season. This season we will have a race clinic as we did last season with some of our best sailors mentoring others. Every year Fleet 15 also sails their traditional "Old Lady's" race. The winner of this race earns the somewhat dubious privilege of hanging the portrait of the "Old Lady" in a prominent place in their home for the period of one year. The winning skipper also hosts the next annual "Old Lady" cocktail party. The awards pot-luck dinner is held in the evening following the "Old Lady's" race and is open to all those who have participated in the racing program, including committee boat and safety boat volunteers. There are a number of ways to participate in Fleet 15 racing and related activities. Owners of daysailers may enter their boat in the regular season Fleet 15 racing. See the Participation page for to learn how to enter a boat. Sailors who do not own a daysailer or prefer not to race their own boat can participate as crew. If you know a skipper that needs crew, then feel free to contact them directly. Contact one of the people on the Leadership page to join the list of available crew that is available to Fleet 15 skippers. Those simply interested in enjoying some time on the water can volunteer to help on the race committee boat or in the safety boats. No experience is needed. See the Volunteer Information page for details. OYC corrinthian members and senior members interested in learning to sail or improving their sailing skill can participate in the OYC Adult Sailing Program.